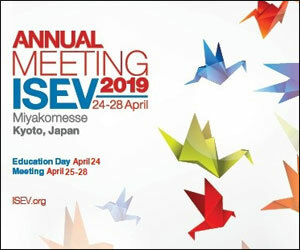 Traumatic brain injury (TBI) is one of the major causes of death and disability worldwide. 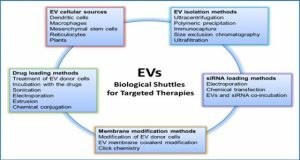 No effective treatment has been identified from clinical trials. 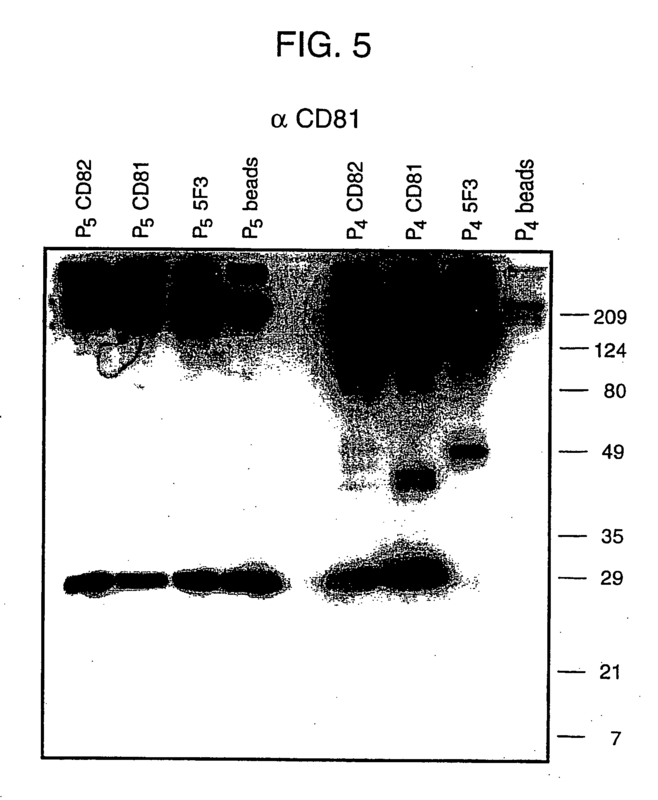 Compelling evidence exists that treatment with mesenchymal stem cells (MSCs) exerts a substantial therapeutic effect after experimental brain injury. 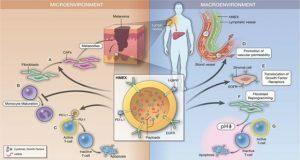 In addition to their soluble factors, therapeutic effects of MSCs may be attributed to their generation and release of exosomes. 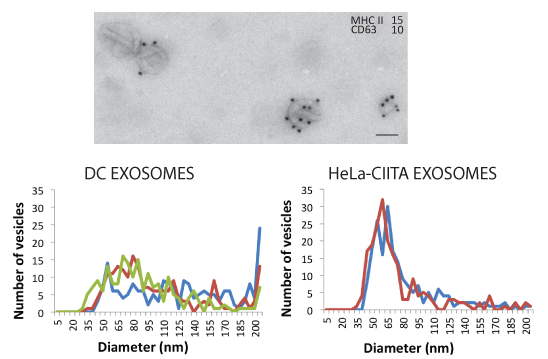 Exosomes are endosomal origin small-membrane nano-sized vesicles generated by almost all cell types. 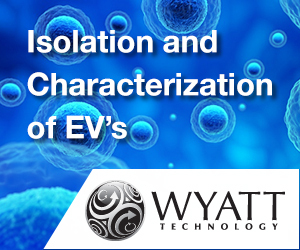 Exosomes play a pivotal role in intercellular communication. 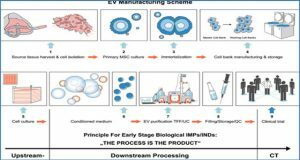 Intravenous delivery of MSC-derived exosomes improves functional recovery and promotes neuroplasticity in rats after TBI. 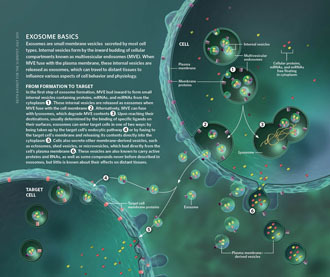 Therapeutic effects of exosomes derive from the exosome content, especially microRNAs (miRNAs). 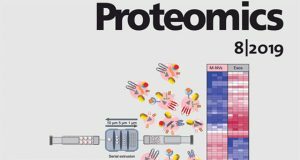 miRNAs are small non-coding regulatory RNAs and play an important role in posttranscriptional regulation of genes. 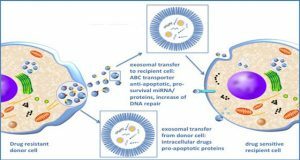 Compared with their parent cells, exosomes are more stable and can cross the blood-brain barrier. 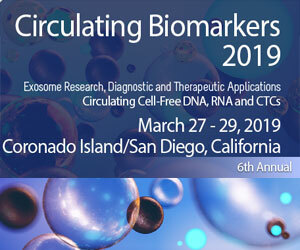 They have reduced the safety risks inherent in administering viable cells such as the risk of occlusion in microvasculature or unregulated growth of transplanted cells. 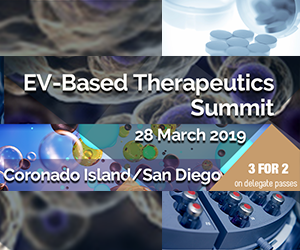 Developing a cell-free exosome-based therapy may open up a novel approach to enhancing multifaceted aspects of neuroplasticity and to amplifying neurological recovery, potentially for a variety of neural injuries and neurodegenerative diseases. 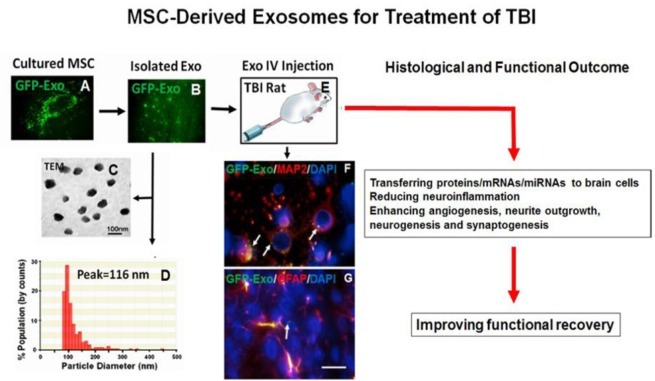 Exosomes derived from mesenchymal stem cells (MSCs) for treatment of traumatic brain injury (TBI).